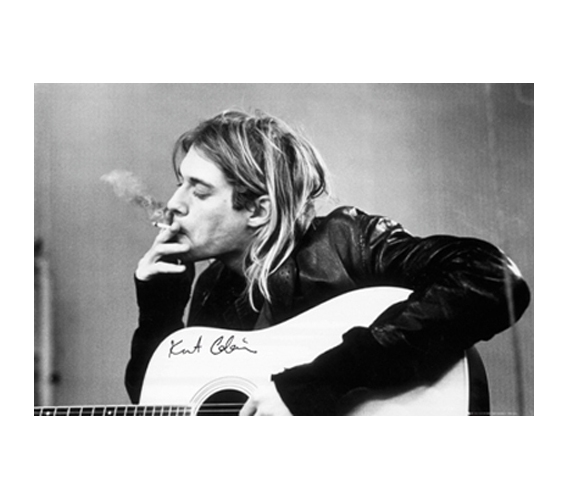 This Kurt Cobain Smoking Poster hopefully won't prompt you to start smoking, but it does make a soulful and unique dorm room decoration. Decorating your dorm room is a an essential dorm life activity, and to do just that, you'll need the right posters for college. Cool music posters and posters of famous people are wall decor items for dorms that can't steer you wrong. So be sure to include at least a couple cheap posters on your college shopping list.